You will LOVE coming Home to your own little OASIS. WATCH THE 3D INTERACTIVE VIRTUAL Walk-through Tour and EXPERIENCE for yourself the AMAZING CUSTOM FEATURES OF THE KITCHEN or IMAGINE RELAXING year-round in your SOLAR HEATED SALT WATER POOL with PEBBLETEC finish, WATERFALL Feature & BEACH TYPE SAND in back to give that BEACH FEELING or Morning Coffee or evening Beverage on LARGE LANAI with Beautiful View. KITCHEN FEATURES YOU WILL LOVEâ¦ GRANITE COUNTERTOPS; 42â CHERRY CABINETS & SOFT CLOSE DRAWERS; LOTS OF CUSTOM SHELVING for FULL USE OF SPACE = SLIDE OUT & UP SHELF, SLIDE OUT AND SWING FOR CORNER ACCESS SLIDE SHELVES, DOUBLE FULL LAZY SUSANâs for Easy Access to Corner Storage, ADDITIONAL SLIDE OUT DRAWERS; UNDER COUNTER WINE FRIDGE; SS Appliances including NEW LP Gas Range (2018) with Edge To Edge Cook-top, Wi-Fi Capability, Duel Purpose Center Burners, etc. 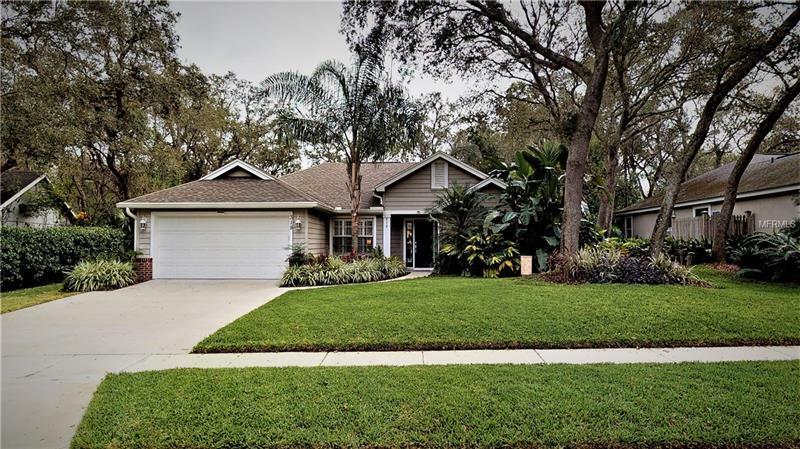 ; Home Features OPEN Floor plan; 3/2 SPLIT; WOOD BURNING FIREPLACE in Family Room; OVER-SIZED MASTER SANCTUARY; INSIDE LAUNDRY RM with PLENTY of Cabinet Space; CITRUS TREES; Whole Home RE-PLUMBED in 2015; Pool Pump Replaced 2017; NEW SALT CELL for POOL 2018; New Driveway widened 4 extra feet! Programmable Irrigation System & MUCH MOREâ¦ THIS IS A MUST-SEE HOME!